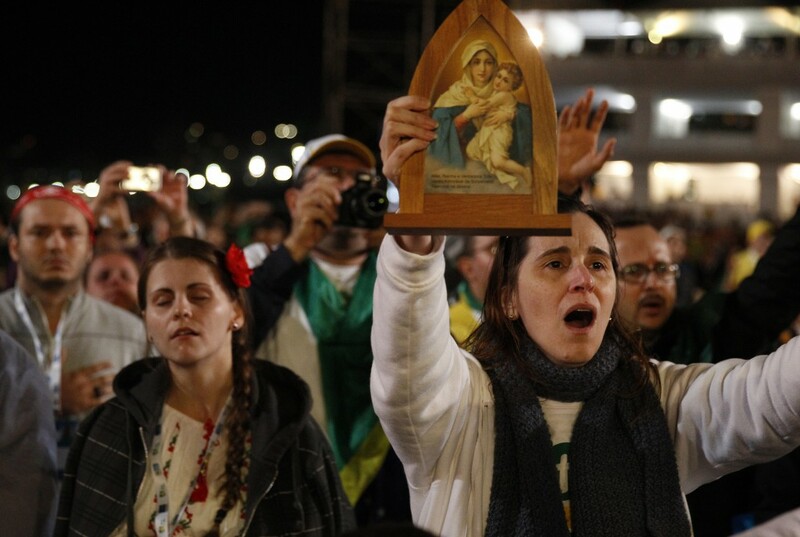 In the sea of young people on Copacabana beach were many who said faith is ageless. Yolanda Chao, 48, of Holy Family Parish in Vancouver, British Columbia, said this was her second World Youth Day, and she will continue to come to these gatherings. “Faith has no age,” she said, laughing. She applauded the church’s initiative with young people. “They are our new disciples,” she said. “They are the new church. This is very important for us and for them. It is the youth that will carry on the word. He said young people connect to other youths from around the world, and that benefits everyone. “To see these kids enjoying this interaction and growing their faith provides hope,” he said. Cynthia Doss, 54, of Kuala Lumpur, Malaysia, said the warmth she feels from young people is exciting. She traveled to Brazil with her 18-year-old daughter and 20-year-old son. From Sao Tome and Principe off the coast of Africa, Luiza Martins Goncalvez, 48, came with a group of 46 pilgrims, many older than 35. Many older Argentines said they made the trip to Rio to see a fellow Argentine. They said they did not come for the catechesis or the vigil.